Wilder Toyota invites drivers from nearby Sequim, Washington and throughout Clallam County and beyond to discover the 2019 Toyota Corolla, now available at our Toyota dealership in Port Angeles, WA. This striking compact car from Toyota delivers not only sporty styling and a surprisingly spacious cabin, but some of Toyota's very latest technology and safety features, too. With six well-equipped and distinct trim levels available, why not explore the 2019 Corolla now? Shop our new Toyota inventory online then visit us for a closer look; you can even schedule a test drive now. When you are looking for a new compact sedan with a comfortable ride for not only you but also your passengers, be sure to shop the 2019 Toyota Corolla. The new Corolla boasts greater rear legroom than other compact cars like the Honda Civic, letting your rear-seat passengers enjoy the ride even more. Plus, with a 6-speaker sound system as standard compared to the Civic's 4-speaker unit, all occupants in the new Corolla are treated to high-quality audio, whether during the commute, weekend cruise or your next road trip. 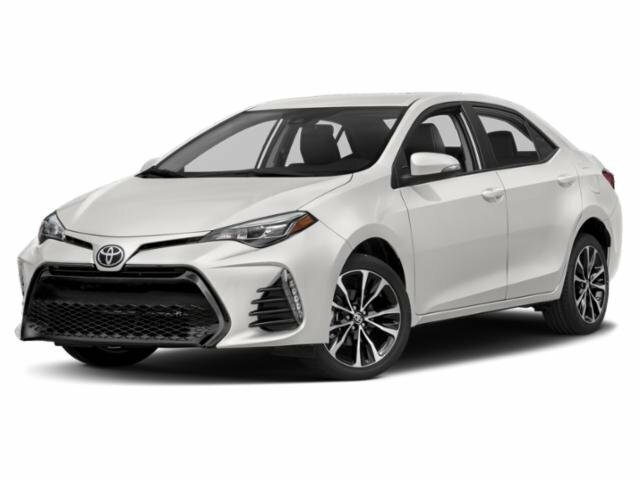 Shop our website or visit Wilder Toyota in Port Angeles, WA at your earliest convenience for a closer look at the 2019 Toyota Corolla and its range of trim levels. We welcome you to apply for Toyota financing here on our website as you shop for a new or used Toyota. If you opt for a new Toyota like the 2019 Corolla, you'll enjoy ToyotaCare, a no-cost maintenance plan that comes with every new Toyota here at Wilder Toyota.